I like to think – and I have some validation for this – that I am an excellent gift giver. It’s getting to be the time of year where we worry about gifts, so I thought I’d write up some of my thoughts. The Five Love Languages (Amazon) is a somewhat soppily named book but it’s actually really not about ideas of conventional “romance” but rather about how the different things people value and how to show affection in a way that is meaningful to the person you care about. It’s worth reading, in my opinion. But sometimes convention dictates that you buy something. This is for those occasions. (Most links are Amazon links). Great gifts are are an expression of the relationship you share, and so often come from an interest you share. A lot of the examples below are accessories, beauty products, and consumer electronics… because these are the things I know. These things can be expensive, but I don’t think expensive is necessary for a good gift! Actually, whilst I was writing this, staying at a friend’s place, a friend of hers called over with “medical supplies” because I’d twisted my ankle. We ended up chatting and going out to a raspberry pi workshop together. 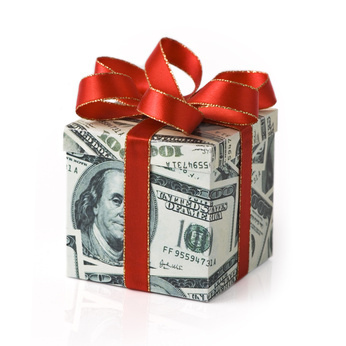 Total cost of gift in dollars? Not many. But gift itself – thoughtful surprise, new experience, and a great story? That’s incredibly special. This is a lovely thing to do with your partner, or best friend. An ex and I decided not to do gifts for each other one year, and instead we booked a trip. Last year, for a friend’s birthday, we went stand up paddle boarding together and then for a delicious brunch. Studies show that experiences make us happier than stuff, and shared memories bond us together. If there’s something you’ve been meaning to try together, or a play or show you both want to see, this is great time to get around to it! Or look for getaways – often LastMinute.com and Expedia have great deals for a weekend escape. There are also lots of places on the internet where you can find “experiences” – hot air ballooning? Driving a race-car? Cheaper options: an art gallery, a nice meal out, wine tasting, one-off cooking class, a movie at the theatre. Or, go to your favourite makeup counter (I love Clinique), and get your makeup done together – and then treat your friend to one of the products. When I was leaving Sydney, I spent a weekend in Melbourne with two girl-friends. It was great – and one of them especially was focused on it being the kind of experience for me that is a gift. I have great memories as a result. A lot of my friends work in the tech industry, so this is surprisingly hard (high disposable income). However this is often the category of gifts for women who spend their days running from thing to thing with no time to take care of themselves. This is the category in which gifts for my parents often fall in. Specifically – I buy my mom high end accessories (beautiful handbags from North America, I love Coach), and bits of technology – my dad and I bought her an iPad when they first came out, which she loves. When I travel, I look for pieces of jewellery that I think she will like. My dad, for example, loves Verbena shower gel from L’Occitane, and was eking out the last of a tiny hotel miniature. So one year his gift was a year’s supply of Verbena products. Lots of people have their weird little economies – if you notice them, you’ve found their gift. The product they only use on special occasions, the product that they only use the tiniest amount of. The thing they talk about getting but never seem to get around to. Buy them that. It’s important that this gift is not an obligation to do something. E.g. a spa voucher can be a good one, but someone who is already stressed out this can seem like you are just adding something else to their todo list. Flowers are often great – hard to justify buying for yourself, but so lovely to receive from someone else! Plants are less good, because they are an ongoing obligation (i.e. think twice before you buy someone who doesn’t already have a plant, a plant). When I moved to Sydney, I kept not getting around to buying a kettle. Someone bought me this incredible Breville tea maker. It really made the best cups of tea I have ever drank. Usually, I have sugar in my tea because otherwise I find it a little bitter, but with tea from this kettle… completely unnecessary. Amazing. The best gift I ever gave someone, was the gift of good hair. She’d been unwell and I was present for a conversation where she mentioned that her dry hair was bothering her. I knew just the thing (Bumble and Bumble super rich shampoo and conditioner, and Kerastase serum). But this one is less about what than about listening. People will tell you what’s on their mind, if you listen. I’ve bought a number of female friends the (Kindle) book Married White Female Seeks BFF, after they talked about finding it hard to find friends after a move, for example. One of my friends was stressing out, having returned to work after having a baby. I got her a month’s worth of house cleaning. A wrench is useful, but this is not what I’m talking about. A generically “useful” gift like a toolbox, wine glasses, or a standard box set of beauty products is not the goal here. The gift that addresses the thing that’s on their mind – that’s what I’m talking about. Listen. I often bring people little things back when I travel. Especially when I was dating someone, but going away a lot without him, I would always bring him back little things – tshirts I thought he would like, headphones from Tokyo, socks, maple products from Canada. I bought one of my friends back so many pairs of socks from Tokyo, because we both love the little socks that you can wear with ballet flats, or Toms. I think this is a way to share an experience you had without someone, with them. “You weren’t there, but I saw this and I thought of you.” Knowing someone thought of us when we weren’t there, makes us feel special. Added bonus here, it gives you something more than “Happy Birthday! Love Cate xox” to write in the card. That’s where you write them a story. One of my favourite gifts to get is jewellery. I wear a lot, changing it up most days, and I buy it whenever I travel, so I have pieces from all over the world and each one has a memory. Most recently, a friend in Australia brought me something back from Canada – with a beautiful note in the card that combined two of the countries I’ve lived in, which was so lovely. When someone else chooses me something, it’s almost always something I wouldn’t have found myself, but still something that I love, with a different kind of memory. And when someone complements it, I say, “my friend bought me this”, and I think of them again. And if I’m far away, it reminds me to send an email. This is either the hardest one, or the easiest one, because we don’t feel obliged to give it any thought and just buy a bottle of wine. Added constraint: usually budget is more of a consideration, here. Apologies for the gender stereotyping. First up – I think a bottle of wine is a terrible gift for someone you don’t know. Are you sure they drink, even? And if they do, what kind of wine do they even like? Alcohol is often my go-to gift for men I don’t know (once I’ve check that they drink) but I try to make it a little more interesting. If I’m coming from Canada, I’ll pick up some Ice Wine (or, recent discovery, Maple Wine), which I used to take back to Scotland for an ex’s family. Whether or not they like it, there’s novelty value there. Or, as my grandpa is very into wine, I get a lesser-known recommendation from him and search it out. My go-to gift for women I don’t really know is Clinique’s Deep Comfort Hand Cream. I’m not in general advocating buying people beauty products without knowing enough about them, but I make an exception here for a few reasons. First – my major need for such gifts is in the winter months (in the northern hemisphere, at least), when dry hands are pervasive. Second, hand cream doesn’t have the difficulties of body products (e.g. layering with perfume etc). Thirdly, I find that whilst women are often committed to facial (I’m all about Clinique) and body (love Biotherm) products, they are happy to experiment with hand creams. Finally, like all Clinique products, it’s hypo-allergenic and also it’s neutral smelling. I firmly believe that gifts in this section should be consumable. A thing to keep is a thing to find room for, and that’s not an obligation you should put on someone lightly. No matter how much you hear that someone likes ceramic sheep, do not buy them a ceramic sheep until you have heard the story behind their entire collection and confirmed they do, in fact, love, ceramic sheep. Some people collect, some people have collections forced upon them, and once word goes round “loves ceramic sheep!” family members can think “all further gifts sorted!”, whilst the unfortunate new collector curses themselves for an excessively convincing display of enthusiasm. Check that someone drinks, before you bring them alcohol. Check for food allergies and limitations (diabetes? recent heart surgery?) before you bring food. Check for pollen allergies before you bring flowers. But overall here, I would say that the goal is not to buy them something they love (hard to do for anyone, let alone someone you don’t know), but something you can have a conversation about that shows you have shown some thought. Hopefully they will at least like it, or find it interesting, at least. If you are buying for someone who does not live near you, think local – find an artesian food shop near you and explore, ideally something your region is famous for. I would always bring maple products from Canada, for example, but interesting ones (I think you can find the best at Montreal Airport, where there is an actual maple shop, but most Canadian airports have a good selection. Australian airports have pretty good selections of TimTams). When I arrived for this visit, my friend had picked up some interesting orange marshmallows from a local foodie store – they were delicious and interesting, and led to a conversation about where she had found them – win! Go off the beaten path. If they love chocolate, don’t, for the love of all that is cocoa, buy them a box of Milk Tray (British – insert name of standard box of chocolates for your country here). Go for something more interesting! Think quality (and a new experience!) over quality. If you’re opting for flowers, don’t be bland and get a Poinsettia or something predictable, find out the colour of the sitting room/dining room/kitchen and tell the florist, who will be able to create an interesting arrangement that will look great in one or all of those environments. And if it doesn’t, well, hopefully there are other rooms and flowers don’t live forever. Combine bits of information. Loves chocolate and spicy food? Chilli chocolate. Loves chocolate and candles? Chocolate scented candle (can be a nice gift for a teenage girl). Loves to ski but is always cold? Handwarmers. I used to have so much fun putting together gifts for my ex’s cousins. I would supplement their gift proper with interesting candies, and other things – one time I found tiny sparklers! So cute! Another time, I found drinking straws that flavoured milk as you drank it. And then I would pack it beautifully, I would have got them similar things, but would use a different gift bag for each one (teenage girls have favourite colours, and their relations usually know them) with tissue paper, and the little bits and pieces there in layers. One of my grandmothers used to create that kind of experience for me and my sister at the holidays, we’d get enormous stocking full of little bits and pieces, and it was so fun! She didn’t have a lot of money to buy expensive gifts, but she created experiences for us, and that was amazing. Gift wrapping is great! And often stores (especially little boutiques) will gift wrap for you – it’s always worth asking. If travelling any distance (especially flying) this can be hard, though. When I was in India for my friend’s wedding, I had the hotel wrap her gifts for me (possibly not something you can pull off in a western country), and they did a great job! Alternatively, buy your gift wrap on arrival, or pack the gift wrap/box/bag separately from the gift itself. Sometimes stores will even do this for you – for example, Coach gave me everything I needed to wrap my mom’s gift myself. The timing is another way to create an experience. When I would bring back lots of little things for the boy, I wouldn’t give him them all at once, but instead look for the right moment. When he stayed over and forgot clean socks, and I just happened to have had some I bought back from San Francisco, it wasn’t just a gift, it was a funny conversation that created a fond memory. Once, one of my friends, knowing that I was feeling a little low, delivered me a beautiful basket full of little treats and cute things – including some fun tissues – to the office. It made my day. A lot of things – airlines, credit cards, stores, have points programs. I had a friend who used to save up all her Boots (British drug store) points all year, and then use them to buy all her seasonal gifts. I think this is a great idea, as long as you are still being thoughtful. Credit card and airline points often have good electronics, for example if something like high quality headphones (I just got these, which are AMAZING, but insanely pricey) are on your list. Airlines especially, also have “experiences” – so trying something new with a friend may not need to cost you actual cash. Finding thoughtful gifts for people, sharing experiences as a way to celebrate, has become such a source of pleasure for me. My family aren’t really gift people, so it wasn’t something I grew up around or even came that naturally to me – but I’ve learned. My final suggestion, if you feel like you have no gift giving talent, is to pick one, really special person, who you want to do something nice for and start from there. And if you want to chat about it, ping me! I would love to help, if I can. Great post, Cate! I come from a family where people just ask for what they want, which I find is very uncreative. But, I guess it satisfies the purpose of a gift: it’s something they wouldn’t otherwise get for themselves. I am, however, AWFUL when it comes to giving guidance on what I want as a gift. In my opinion, I can buy anything I need, and most of what I want. But, there are some things you want, that you don’t know you want and that’s when someone can surprise you with it! Case in point: this year was my 30’s birthday, and my family got me a gorgeous leather coat with fur trimming! And that’s after I told them “I don’t know what I want.” when it was asked of me. Haha.